BSRIA says it is concerned that President Trump has begun the process of ‘rolling back’ the Obama policies aimed at curbing climate change. The new president’s Energy Independence Executive Order suspends more than half a dozen measures enacted by his predecessor. This move signals both a practical and a philosophical attempt to change the US narrative on climate change, says BSRIA. 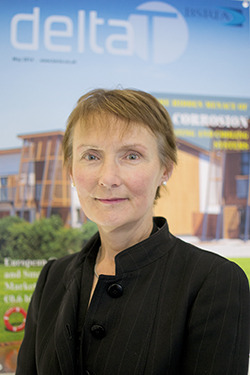 BSRIA chief executive, Julia Evans, said: “When the Paris Summit agreement was made in December 2015, the whole world signed up to play its part in halting climate change – including the US. Global warming is a real problem, as an industry we have the skills, technology and the desire to make a difference. BSRIA said then that the deal must provide a stable environment that enables investment in cleaner, more affordable and more secure energy generation, including renewable and clean technologies. She continued: “The association says this “worrying u-turn” is troubling for the policies aimed at improving climate change and indeed the associated agenda around renewable technologies. “In 2015, the UK government expanded offshore wind power and had become the first developed country to set an end date for the use of coal. There are still clearly huge changes and challenges ahead in the expected energy transition away from fossil fuels. So it is worrying that President Trump has the completely reverse idea.